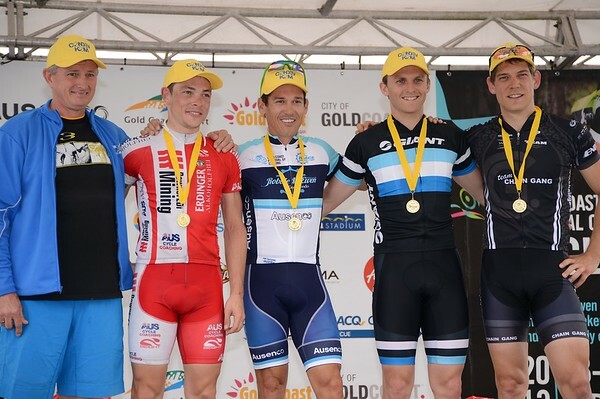 Matt King, Darcy Roselund, Chris Myatt, Robbie McEwen - Presentations - Criterium, Elite Men A - Gold Coast Festival of Cycling; Carrara, Gold Coast, Queensland, Australia; 28 September 2013. Camera 1. Photos by Des Thureson - http://disci.smugmug.com. - UN-Edited Image only.